And thirdly (is that a word? it should be.) I'm SO excited that Cafe Rio is coming to Idaho Falls. Yes my friends, I saw the sign over by Texas Roadhouse the other night and I almost hyperventilated. YAY!!! Now, Lee Ann asked How does dinner time go at your house? Is there complaining/whining? Are kids making rude noises? Is there laughter? Are you happy or stressed? How is cooking dinner? Is it enjoyable for you or a bad experience? Is this the most appropriate question for T-I-T day or what? Let me tell you that the hour between 5-6 is the worst time of day here. Kids are hungry, fighting and crying. I'm trying to get dinner made and trying to ignore all the chaos behind me. (I don't think I get stressed, but I certainly wouldn't call it "happy".) But when we sit down to eat, things are relatively nice. Oh, we get the occasional rude noise and case of the giggles, but the kids eat fairly well and I enjoy sitting around the table together. However, at the moment we only have 5 chairs (one broke) so one of us usually stands at the counter to eat. (Yes, I am aware that I have a perfectly functioning dining table in the next room, and that it has chairs to spare, but we're weird like that.) And I truly do enjoy to cook, it's just the nasty clean up afterwards that I loathe. So, that brings us to today's T-I-T. Last night we made THESE (Cookie Brownies) from Bakerella. They are SO rich that I could only handle one. And I am the queen of rich. But they are very tasty. I'm not a huge fan of semi-sweet, so I think I would like them better with milk chocolate ganache. But that might make them even more rich, so I don't know. If you're in the mood for chocolate these are the way to go! amen on the thoughts of a peaceful transition. I wish it was a different president, but that's just me :). If it wasn't midnight, I would so be making cookie brownies right now. Except as semi-sweet as they could be! Finally, concerning your post below---I am so bugged by Blues Clues too! Blue should SO be a boy. And why can everything on that show talk, including the drawer---but Blue can't? Hmmmm....I sensing a blog post coming on here...! Elena, let me begin with my condolences for your friend. I'm so sorry, as a mother of a daughter in heaven and a friend to a gal who just lost her daughter, too, I feel I can relate. I'm so sorry. I do hope she is your sister in the gospel and can find strength in the Lord's eternal plan for families. I feel the same way about Obama. In fact, I blogged my thoughts on November 5th (http://kobialkafamily.blogspot.com/2008/11/be-happy-people.html). Things will be just fine. At least I have hope that they will be... especially in this down-turned economy. Know anyone who wants to hire the best civil engineer in the world? We're lookin'! Now that I have rambled on and on (because it's 2 am, I can't sleep, and no one is here to stop me) I must ask... How did you get the little playlist? I have been petitioning playlist for a smaller version to fit in my sidebar to no avail! That's fantastic! Do tell. The brownies -- brownies have been on my mind lately. The Sweet Girl just made some "fully leaded" ones, and the DH and I have to hide them so we won't scarf 'em down! Yummy! I can't wait to try these brownies. We are brownie lovers! Oh, Russ has been bugging me to tell you that everyday last week Lily would say, "It's me, It's You. A family" and when she said family she would do the sign. Just wanted to let you know that you are doing a FABULOUS job teaching this song to the kids! So sorry for your friend. I too never know what to say so I just start cooking and hope that my feelings come across in a big pot of soup and rolls. I do not have anything as yummy as brownies on my blog but I did do something with chocolate. So go there tomorrow (yes I am a dork and got my dates mixed up so it will not be up till then) for my T-I-T.
Oh, my prayers are with Jennie and her family. How tragic! Thanks for answering my question! I'm always curious how things run at other people's houses. CAFE RIO??!! Yay! I have been waiting for years for them to come here. In fact, I've wished that I had the money to open the franchise myself. Hurray! THanks for making my day. It's the best thing I've heard all day, and I've heard a lot of good things today! 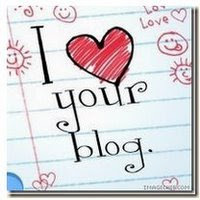 I can't believe how often I read your blog, and think-that sounds just like me and my life. Dinner time, falling to sleep at night, what super hero powers I would have! Love to laugh whenever I visit!! Is Cafe Rio that Brazillian restaurant...all you can eat....the one Mark raved about when he went to Boston? I think we're getting one here too if I remember right. Mark came home from work sooooo excited. They've finished building it, now they're moving in. Can't wait to try it. What is Cafe Rio? We obviously don't have that here. And isn't dinner time just the witching hour?? Thanks so much for your sweet inquiry as to my whereabouts. Well...yesterday I finally got a diagnosis on my alleged hypochondria...and I have vertigo. So I am trying to get the meds into my system. And get the room to stop spinning. It seems that the computer is not really good for me. And just watching TV today about did me in...So...there might be a slight break until I get my bearings. What is Cafe Rio? I must eat there. In April. In Ida-Ho. I love brownies. I love President Bush. I will respect the new president and that's all I'm gonna say about him. And I love Lost. Come hang with us on Sussing Out Lost...oh, we're going to have so much fun!!!! Thanks for the help with the playlist question, by the way! Are you tired of me yet? Is it Monday or What?